Biological systems are inherently complex and targeting a single molecule or pathway rarely produces a large enough impact in the diseases process to be translated into maximal therapeutic efficacy. There is a pressing need to develop an efficient process to test the combination of more than one therapeutic antibody in the clinic. Our innovation is designed to address this need. 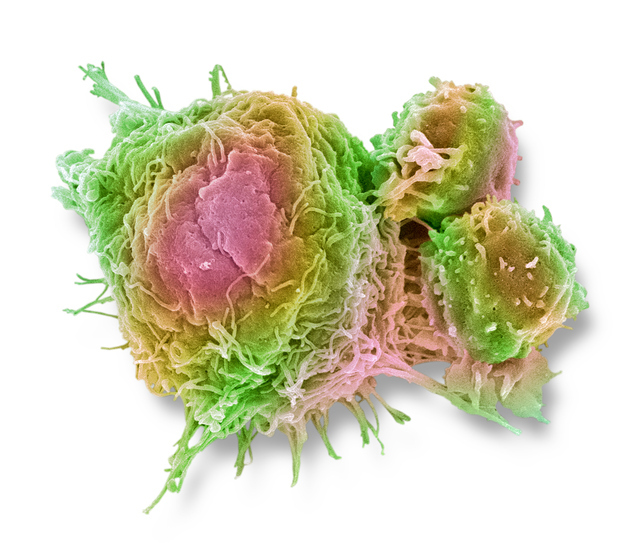 Scanning electron micrograph of T cells attacking a tumor cell. We’re building new technologies and platforms to produce the next generation of therapeutic antibodies that are capable of targeting multiple molecules and pathways.